Not really a cheap app with the price of $19.99, but a drop in the bucket compared to Fitness Equipment, which you can buy for your home. Obviously it doesn’t come with any steal, but literally thousands of exercises make this app quite unique. Pretty cool tool, especially since it combines your Iphone with the Nike+ tracking. Having used the Nike+ I was quite disappointed since the clock broke or I just lost that tiny chip. ISitups – One of my favorite apps, b/c when it comes down to situps I turn out to be too lazy. Having the goal of 100 situps (I am at 92) is just awesome. Will definitely download the Isitups200 version. Obvisiouly all these apps are nice, but like most Fitness Equipment…they won’t replace your daily run to the gym. IPushups – Same can be said about Ipushups. A little bit harder to follow since it builds up quite quickly. Maybe it’s just me, but I don’t like it if I cannot reach the daily steps. The variety of apps is getting more and more impressive and there is really no point in life where you just cannot find an app for it. 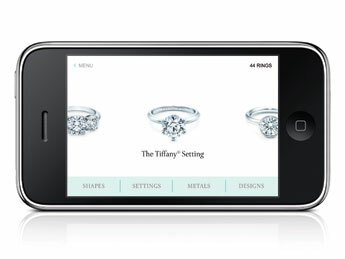 The famous Tiffany and Co. jeweler just launched and Engagement Rings Finder, which will be available on ITunes on June 14th. The app is targeted towards men, so they can save the time fighting for some consulting in one of the well-visited Tiffany stores. Not sure if you’ve noticed, but the “mobilization” of our communication is really taking a hit on our writing styles. Not only do I get 10 letter text messages, but also have to read 140 character Twitter or Facebook messages all day. This does not only have an effect on myself, but also my surroundings. LOL and Smiley’s are more commonly used than accurate punctuation. Not sure if this is a good trend, but I’d love to have a style writer software. 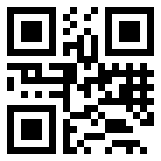 And not only for my laptop, but also for mobile phones or and any device, which is used for mobile communication. So far I’ve noticed that most stylewriter software products are build for Word or for laptops in general e.g Stylewriter.org runs a software called Stylewriter. Sorry for not posting lately, but besides a molar tooth I totally screwed up my dental insurance by not signing a paper. Now I have to wait for the next enrollment, which is 6 weeks down the road. Should be some decent pain unless I go to a dentist abroad or better say… a dentist in Europe, who can fix my teeth without emptying my wallet. The dental radiology (Dental-Rx) app has dental care with pictures to explain better, talking about cavitys and caries too, and show types of disease, gums and teeth. It also contain a dental glossary (small dictionary), where you can select words alphabetically choosing the initial letter touching buttons to do a quick and effective search of words. I just checked the hotels.com app, but it did not work for my trip to the UK. So, I also downloaded the Marriott Mobile App, which I also will use to book a hotel in Atlantic City for next Saturday. – The app works for all hotels worldwide. So…a little thought of the other hotel finder apps would have prevented me from using this one. Well….now I am staying in hopefully one of the better Brighton hotels: The Marriott Brighton! I was looking into the hotels apps today since I am planning to make a 2 week trip to the Philippines in 2010..
One of the problem I have is that I don’t want to carry the Lonely planet with me. The Lonely planet, which many call the bible of all travel guides, became a little bit of a two-sided sword the last years. On the one side you find incredible detailed information, but b/c everybody is using it, you often end up in the same place like everybody else. Also some hotel/hostel owner are smart and ask travelers to rate them. Obviously only friendly guests, who don’t complaint or travelers, who admited that they had a lot of fun at the place. Anyways…there are a few apps. Tripadvisor got one, but that’s not really something you want to take on a trip. Hotels.com is certainly not bad, but for Manila not possible. Priceline, Hilton apps and Omnihotels are other apps out there. Not really valuable. So on the travel side, I found a really interesting one called Cebu city travel guide 4.1 app. It’s running offline and it includes the Philippines Visayas, Central Visayas, Cebu. Fetures include Getting there/around, transport, sightseeing, entertainment, shopping, eat, drink, Places to stay, Nearby places, city travel guides with Wiki travel info. Release date is also August 2009, so I bet it’s quite a good and updated app (Version 4.1). The app runs on the Ihpone or Iphone touch and costs 99 Cents. Overall I think a pretty good deal and I’ll test it out. Which they’d offer that for my Motorola phone, but my Ipod touch will make it as well. Pretty cool system over at AppMakR, which is a DIY Mobile App builder. AppMakr.com is finally a system that allows everybody to create there own site/app. That’s exactly something we also wanted to do back in the day, but unfortunately it did not work out due to various reasons. dead simple and extremely easy to use. Especially smaller companies should like this a lot. Funny to see that even mattress companies such as Mattress Depot USA has entered the mobile app market. Their new app reports on nearby deals and stores. The service allows mobile consumers to access a huge variety of highly localized, regularly updated information. Users can search for product launches, sales, discounts, coupons, offers, and promotions for every business and service in the area. Well…now I can buy my Tempur-Pedic or Select comfort bed whenever I get a coupon on my phone while walking in the city. 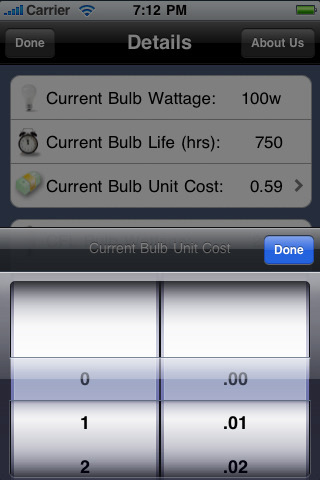 Pretty cool Iphone App that calculates your savings on Annual Light Bulb costs. Usually not a big thing in the US, but in Europe and especially Germany, where electricity is very expensive, the 99 Cents for the app could save 100s of dollars in yearly light bulb costs.